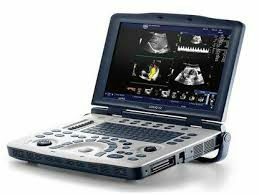 Detail Produk "Aloka – ProSound SSD-3500SX"
The ProSound 3500SX now combines the superior image quality, reliability, and acclaimed service that made Aloka the gold standard in ultrasound with improved features seldom found in an office ultrasound environment. 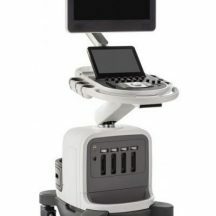 The redesigned Aloka ProSound 3500SX utilizes advanced ProSound technologies with enhancements that include: enhanced 3D/4D imaging – save entire datasets to review later for faster exam times, free 3D/4D viewing software for post processing on a desktop computer, USB port for fast, easy media storage (DVD/CD writer also comes standard), flat panel display and improved ergonomics, extended Field of View (EFV) optional technology to view vascular pathways, the thyroid, or the entire uterus for multiple gestations and placenta position. 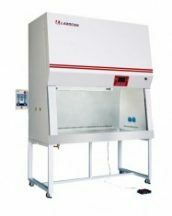 Quint Frequency Imaging – select up to five frequencies for grayscale imaging and Doppler. 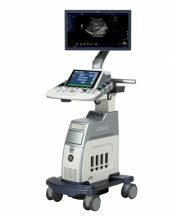 Tissue Harmonic Echo – get outstanding penetration with pregnant or difficult to examine patients—with much less side lobe artifact and noise for optimal resolution. Integrated Data Management Subsystem (iDMS) – DICOM-compatible image management that includes DICOM work-list capability. Dual Dynamic Display (DDD) – simultaneously display two live B-mode images (with and without color flow) to easily show the relationship between the morphological information and the blood flow of the region of interest. Multi Beam Processing – exceptionally high frame rates for optimal performance in studies requiring dynamic imaging of patient morphology. 12-bit A/D converter – helps you achieve high-quality images with the broadest dynamic range possible and a remarkably enhanced contrast resolution. Real-time Free Angular M-Mode (FAM) – an Aloka exclusive that provides superior M-mode tracings regardless of positioning. It makes the exam fast and accurate, while providing exceptional image quality.